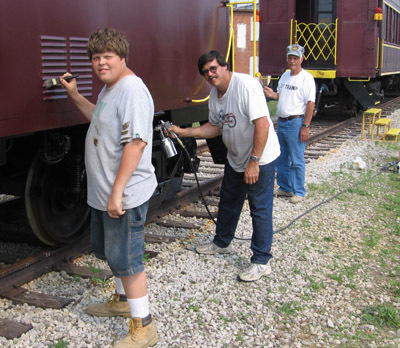 A few of the dedicated Byesville Scenic Railway volunteers, August 2006.
mining enthusiast. 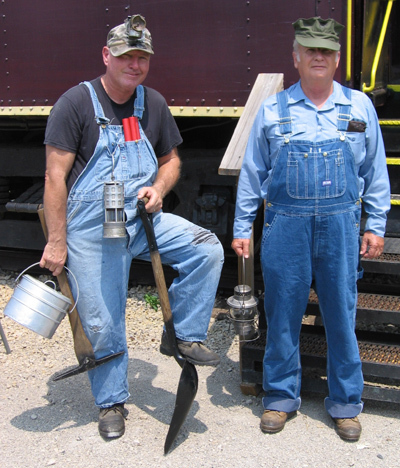 Both volunteer as narrators on board the train. 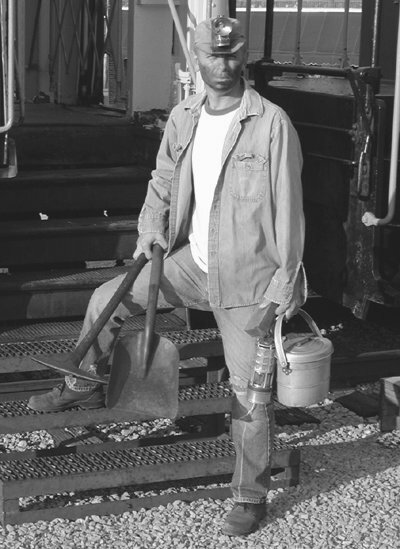 train and he tells of his father's experiences working deep in Rigby Mine. 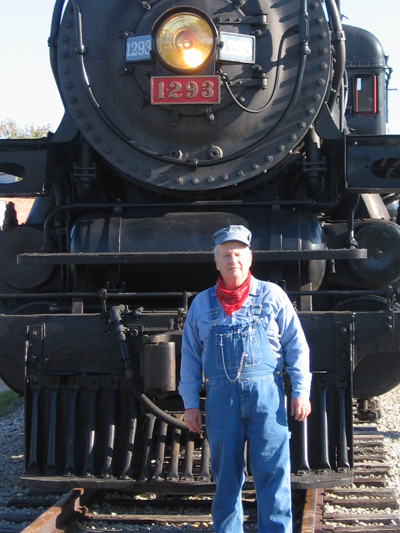 Life-long train enthusiast John Warne serves as our conductor. 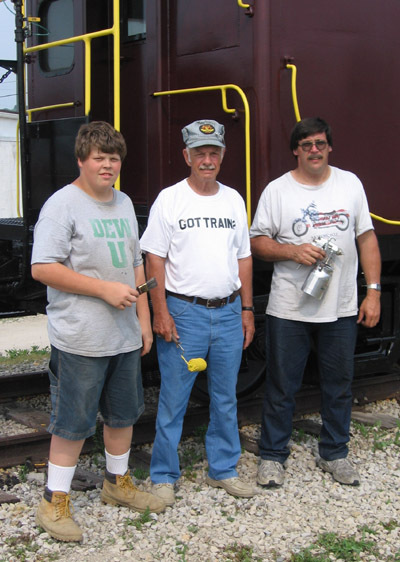 Fireman Tom and engineer Jim aboard locomotive #386. 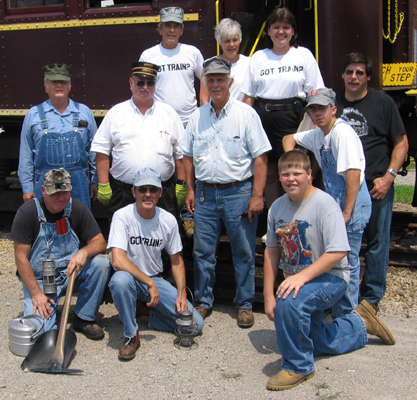 Coal Miner Bob also narrates about the life of the coal miner. 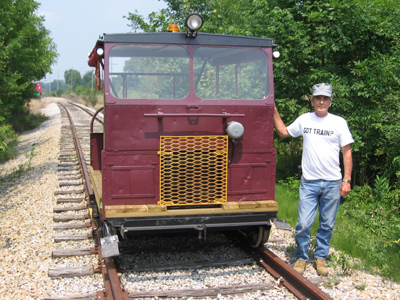 Trainman Fred G. with Fairmont motorcar at Derwent. 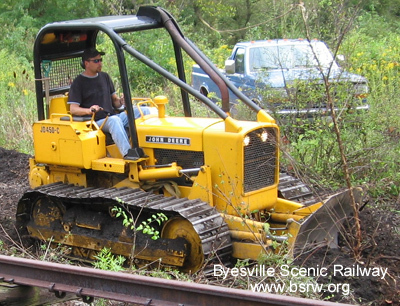 Bill S. repairing washouts and clearing brush at C&M Crossing. 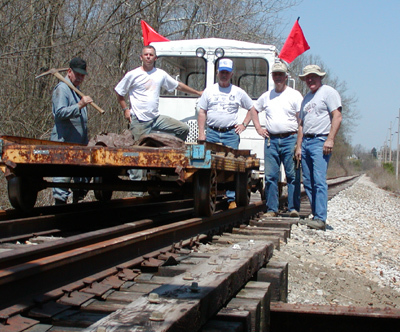 Tom, Steve, Bob, Cecil, and Dave at Number 5 bridge, April 2004. 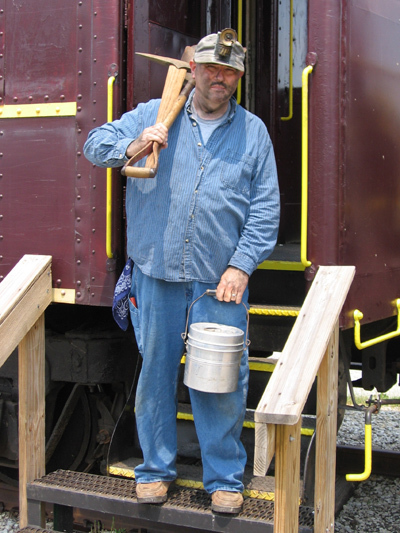 Engineer Paul S. on board one of our steam excursions, Oct. 2006.
during our Steam Weekend in October 2006.